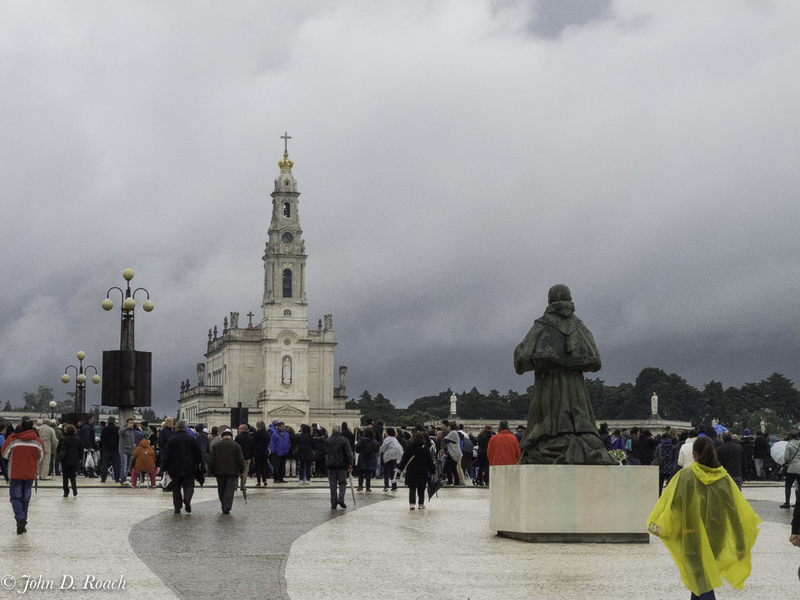 Three highlights of the our recent trip to Portugal were our visits to Fatima, Alcobaca and Coimbra. 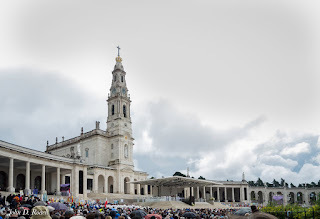 Our Lady of Fatima is the Roman Catholic title of the Blessed Virgin Mary based on appears or apparitions that are said to have occurred starting May 13, 1917 by three shepherd children at the small village o Fatima, Portugal. 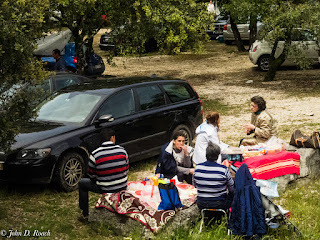 The three children were Lucia Santos and her cousins Jacinta and Francisco. Pope Pius XII approved to the veneration of the image enshrined at the Chapel on 13 May 1946. 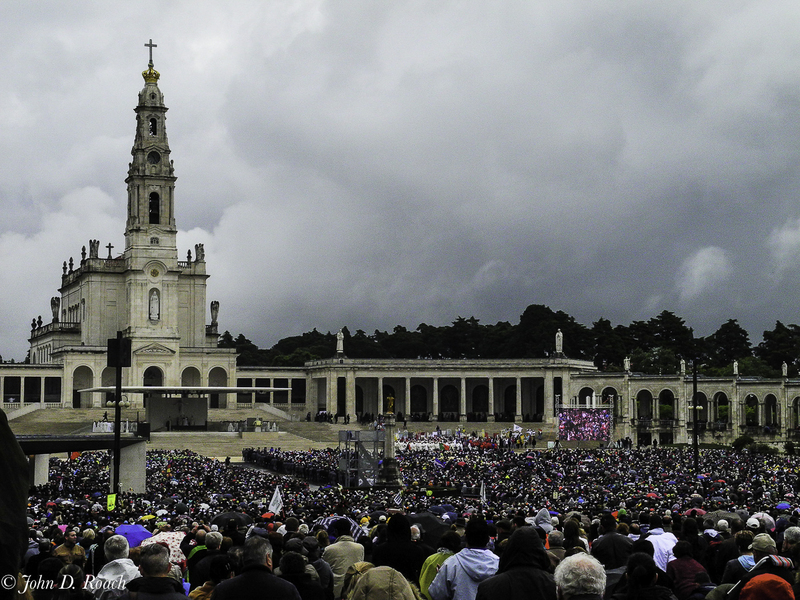 The reported apparitions at Fátima were officially declared worthy of belief by the Catholic Church, which commemorates the event on the same date. The events at Fátima gained fame due partly to elements of the secrets, prophecy and revelations about the end of times, particularly with regard to the World War Two and global wars in the future. 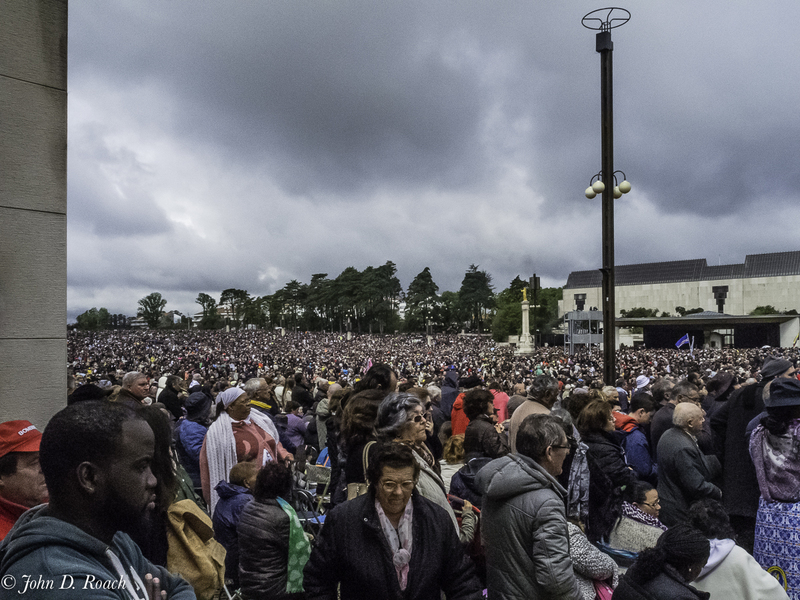 Chief among these is also the alleged urgent need for the Consecration of Russian to the Blessed Virgin. Throughout the year this is pilgrimage site for Roman Catholics around the world and especially for the Portuguese who often travel hundreds of mile on foot to visit the Basilica that now exists in Fatima. 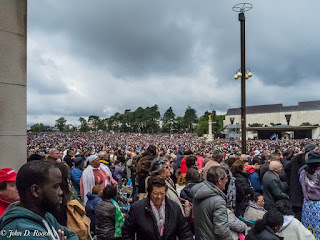 Indeed, on our visit on May 13, 2016, we witnessed tens of thousands visitors within the Basilica which is larger than St. Peters in Rome commemorate the 99th anniversary of that first apparition. It is even purported that the shooting of Pope Paul II was foretold in the apparitions that occurred later. The Alcobaça Monastery is one of the first foundations of the Cistercian Order in Portugal. 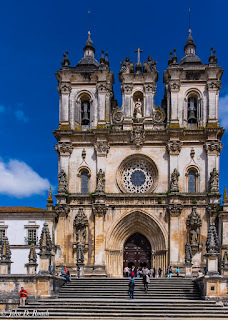 It was founded in 1153 as a gift to Bernard of Clairvaux, shortly before his death, from the first Portuguese King, Alfonso Henriques, to commemorate his victory over the Moors at Santarem in March 1147. The foundation of the monastery was part of the strategy by Afonso Henriques to consolidate his authority in the new kingdom and promote the colonisation of areas recently taken from Moors hands during re-conquest of Spain and Portugal. 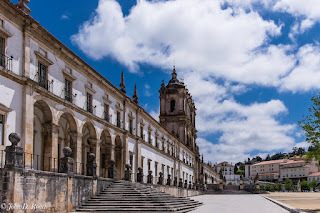 The building of the monastery began in 1178, some 25 years after the arrival of the Cistercian monks in this region of Portugal. 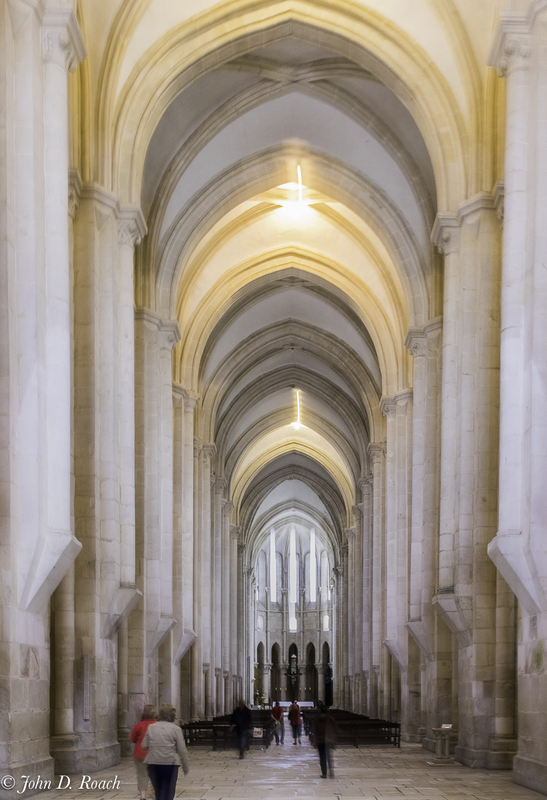 Initially, the monks lived in wooden houses, and only moved to the new stone monastery buildings in 1223. 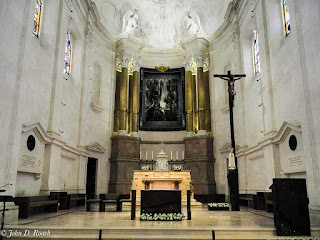 The church was completed in 1252. 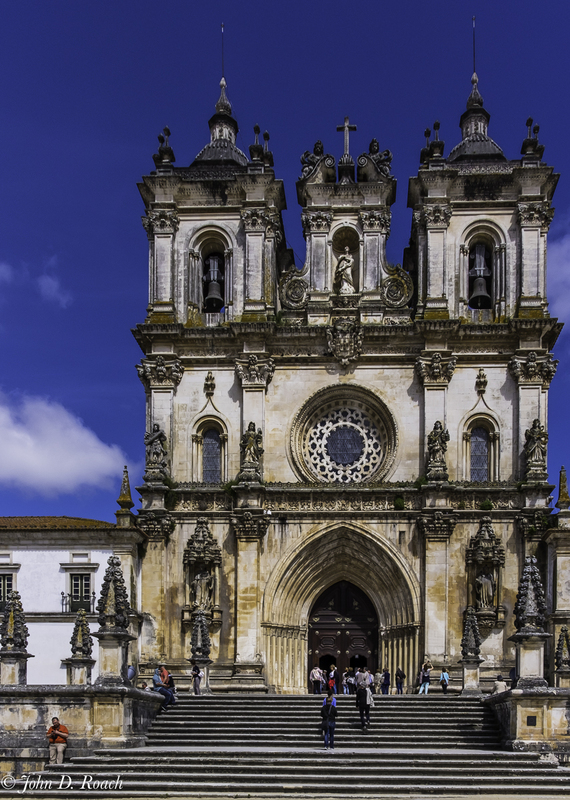 The finished church and monastery were the first truly Gothic buildings in Portugal, and the church was the largest in Portugal. 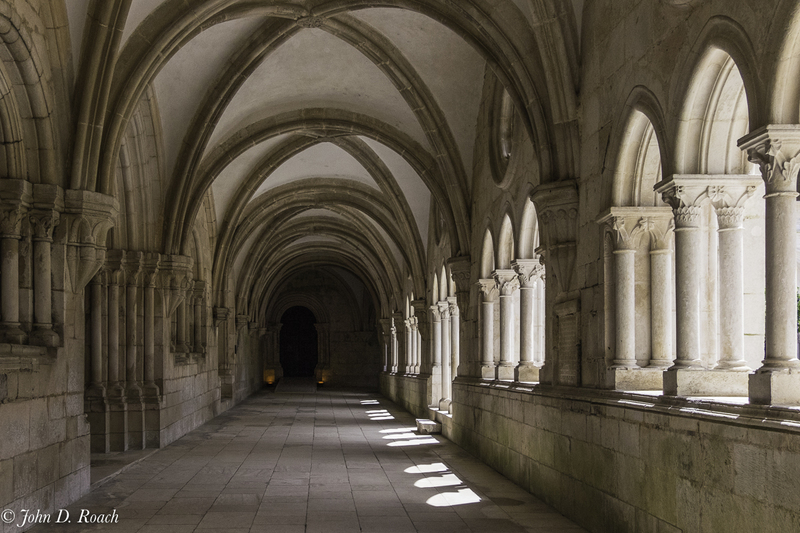 Its cloister was completed in the late 13th century. 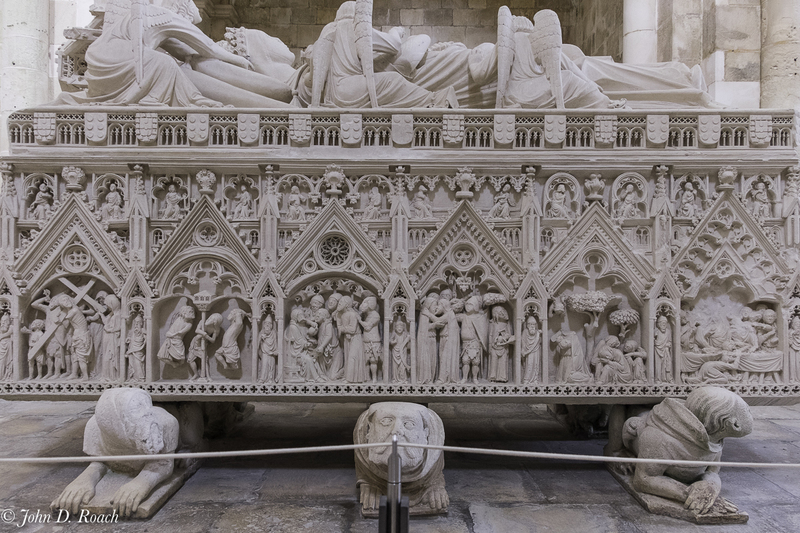 The monks lived in silence and spent their lives in religious meditation and creating manuscripts that kept the Catholic Religion alive in Portugal. 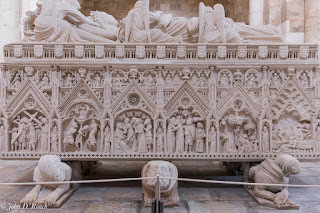 The monks from the monastery produced an early history of Portugal in the books they wrote. 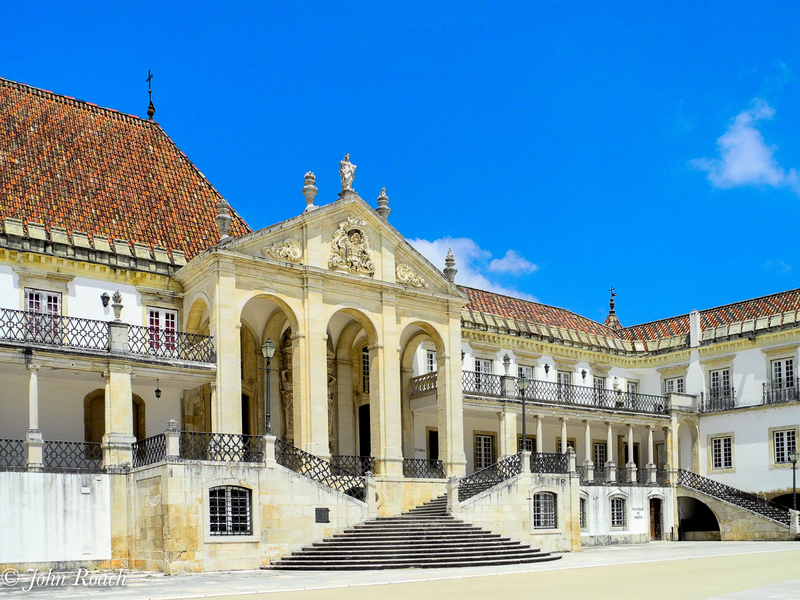 The Library in Alcobaça was one of the largest Portuguese mediaeval libraries, but was pillaged by the invading French in 1810, and many items were stolen in an anti-clerical riot in 1834, when the religious orders in Portugal were dissolved. Later, the property was turned over to the state and then eventually back to the local church. 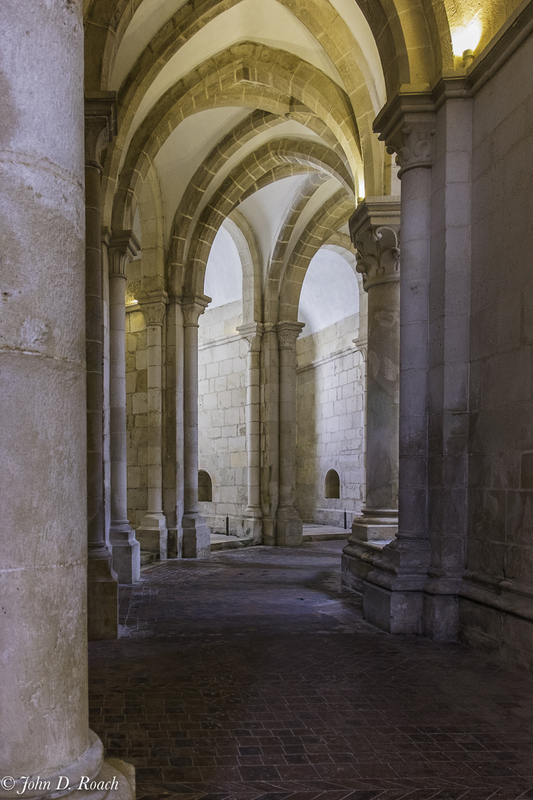 The remnants of the monastery library, including hundreds of mediaeval manuscripts, are kept today in the National Library in Lisbon. However, here we can see much of how the monks lived and worked for centuries. 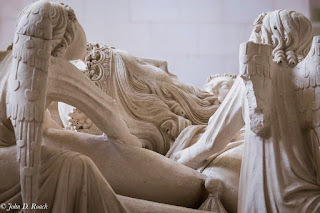 In the church there are sculptured tombs and one can learn the tragic story of Ines de Castro and King Pedro I from the 14th century. Ines and Pedro were lovers and the Pedro's father King Afonso disapproved of the relationship. 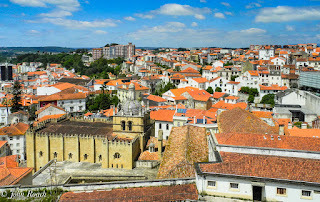 Coimbra is a city in Portugal with a population of around 140,000 people. This city dates back to Roman times and one of the most pictureques cities in Portugal. 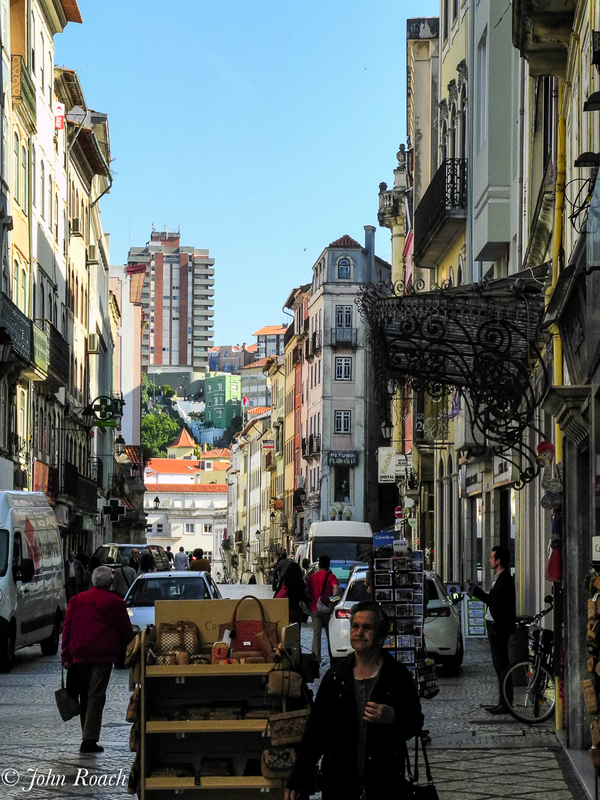 It is the 4th largest city in Portugal. There are many archaeological structures dating back to the roman era, Coimbra was the settlement of Amennium. It has a well aqueduct system. 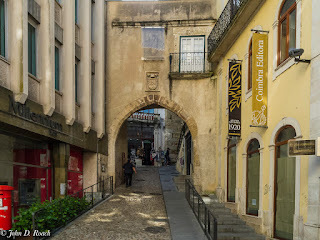 For a time Coimbra was the Capital of Portugal with many of its buildings still existing from that period from the period when Coimbra was the capital of Portugal between 1131 and 1255. 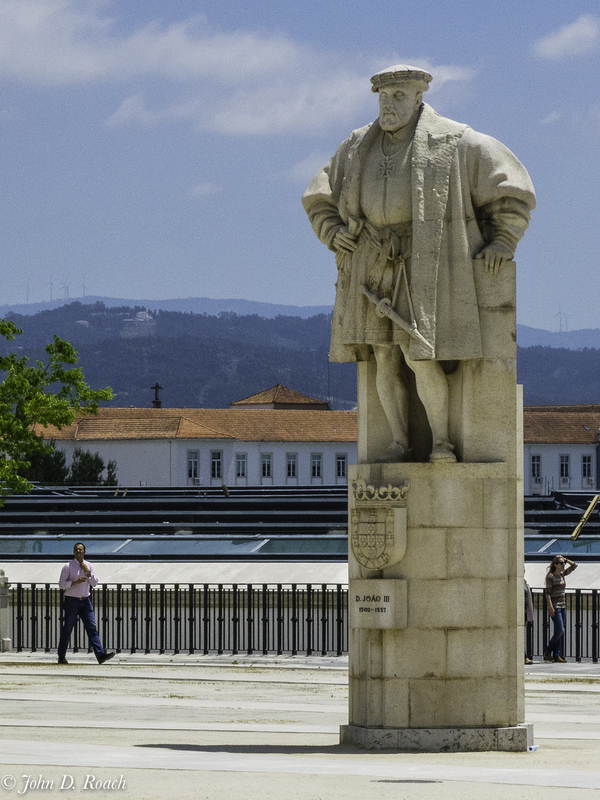 During the late middle ages, with its decline as the political center of Portugal which moves to Lisbon, Coimbra began to evolve into a more of a key cultural centre. This was in large part helped by the establishment the University of Coimbra in 1290, the oldest academic institution in the in the Portuguese world and one of the oldest in Europe. The University, then and now, attracts many European and international students. 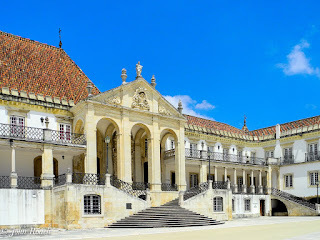 The university as well as Coimbra is visited by many tourists to see the many monuments and experience its history. Its historical buildings are classified as a UNESCO World Heritage Site. 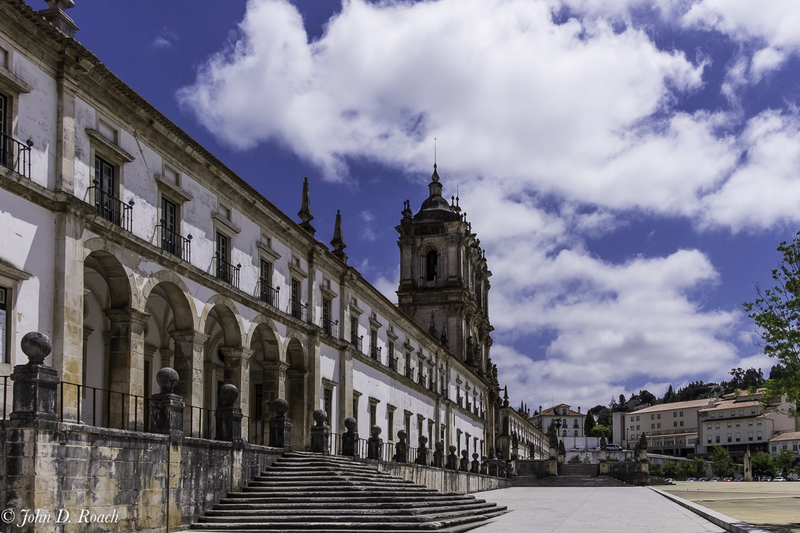 When that occurred, UNESCO stated that "Coimbra offers an outstanding example of an integrated university city with a specific urban typology as well as its own ceremonial and cultural traditions that have been kept alive through the ages." 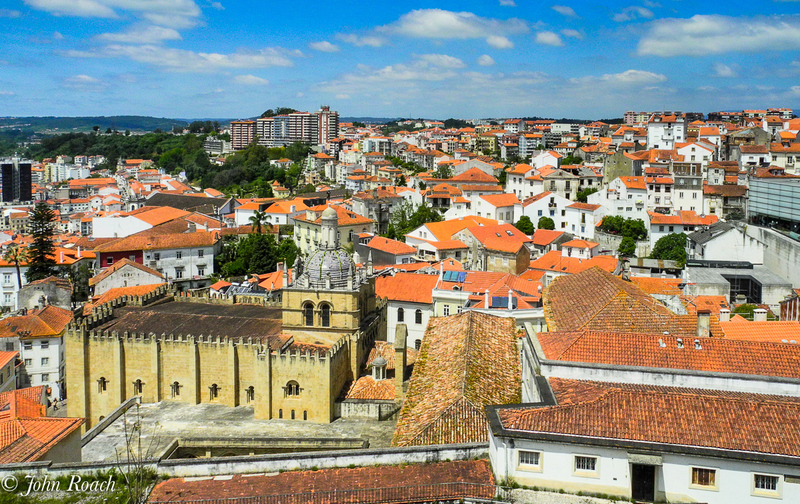 Coimbra is a marvelous example of Medieval Europe with steep winding streets and a mix of old and new architecture. The University sits above the city on a hill which runs along a major river. Hi! I am John Roach an award winning photographer. I live in Glen Allen, Virginia. Join me on my journey through retirement and my passion for photography. My interests include landscape, seascape, architecture, floral, macro, and wildlife images. I am active in photographic art groups, lead seminars at photo groups as well as University of Richmond and previously at the University of Wisconsin - Milwaukee. To capture the light in the best way and to display detail, tone, and texture to tell a story, I use a variety of photographic tools and techniques. My approach is guided by a vision that includes experimenting with ways of seeing light such as using, in addition to color, infrared imagery, painterly effects or conversion to black and white. Photography is my full time passion now that I am retired after a successful career in engineering and management. If any of my work captures your imagination, do not hesitate to contact me in order to discover the possibilities to learn more. My blog will include information about my travels and occasionally be spiced with comments about history and literature during my "painting with light" adventures. © John D. Roach. Travel theme. Powered by Blogger.